FRIDAY, July 27, 2018 (HealthDay News) — Aldehydes are the major carcinogens in tobacco smoke, according to a study published online June 18 in the Proceedings of the National Academy of Sciences. Mao-wen Weng, Ph.D., from New York University in New York City, and colleagues evaluated DNA adducts induced by the three major tobacco smoke carcinogens: benzo(a)pyrene (BP), 4-(methylnitrosamine)-1-(3-pyridyl)-1-butanoe (NNK), and aldehydes in humans and mice. The researchers found that in mice, tobacco smoke induces abundant aldehyde-induced γ-hydroxy-propano-deoxyguanosine (γ-OH-PdG) and α-methyl-γ-OH-PdG adducts in the lung and bladder, but not in the heart and liver. Tobacco smoke does not induce the BP- and NNK-DNA adducts in the lung, heart, liver, and bladder. Additionally, DNA repair activity and the abundance of repair proteins, XPC and OGG1/2, in lung tissues are reduced by tobacco smoke. A diet with polyphenols greatly reduces the TS effects. In tobacco smokers’ buccal cells and the normal lung tissues of tobacco-smoking lung cancer patients, but not in lung tissues of nonsmokers, γ-OH-PdG and α-methyl-γ-OH-PdG are the major adducts formed. BP and NNK can induce benzo(a)pyrene diol epoxide-dG and O6-methyl-dG adducts in human lung and bladder epithelial cells, but these inductions can be inhibited by acrolein, which also reduces DNA repair activity and repair proteins. 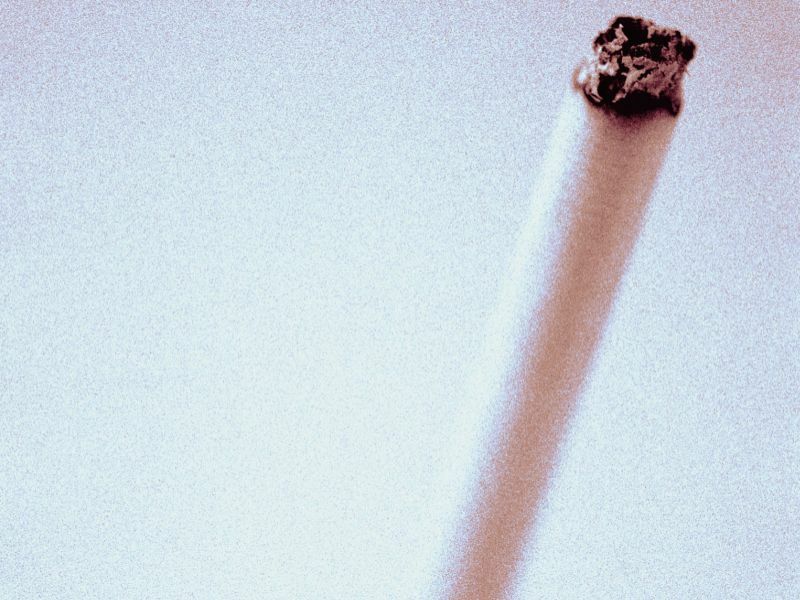 “We found that aldehydes in tobacco smoke are the major driving forces in inducing DNA damage and inhibiting DNA repair, the two major forces that cause cancer,” a coauthor said in a statement.